For AWS Marketplace and our customers, 2018 was a big year! We had some exciting announcements at AWS re:Invent 2018, where we launched new categories for container products and machine learning. AWS Marketplace is a digital catalog of software products that makes it easy for customers to find, buy, and deploy software that runs on Amazon Web Services (AWS). The catalog has more than 4,500 product listings from over 1,400 Independent Software Vendors (ISVs) and more than 200,000 active customers. With 30+ new features launched in 2018 for AWS Marketplace, we wanted to highlight the top ones for you. The new Machine Learning (ML) category enables you to list free and paid ML algorithms and model packages in AWS Marketplace. Customers can access products spanning a broad range of popular categories—computer vision, natural language processing (NLP), speech recognition, text, data, voice, image, video analysis, predictive analysis, and more— and deploy them directly on Amazon SageMaker through a Jupyter Notebook, SageMaker Software Developer Kit (SDK), or AWS Command Line Interface (CLI). Containers was launched as a new delivery method for server products, enabling you to list container products with a variety of pricing options, including free, bring-your-own-license (BYOL), fixed monthly fees, and pay-as-you-go with per-second billing. Container products are offered in popular categories such as high-performance computing (HPC), security, and application development. Customers can deploy container products on services such as Amazon Elastic Container Service (Amazon ECS), Amazon Elastic Container Services for Kubernetes (Amazon EKS), and AWS Fargate. You can provide customers with deployment templates such as task definitions, Helm charts, and AWS CloudFormation templates. You can now sell through your partner network on AWS Marketplace by authorizing consulting partners to own and maintain the financial and contractual relationship with customers. Bring to AWS Marketplace your network of broad and global consulting partners with specialized skills in a particular technology, expertise in solution areas, or best practice knowledge of business verticals. Consulting partners can also add professional services like enhanced support terms into their offer and extend custom pricing and end-user licensing terms that meet the needs of the customer’s business. Offers from consulting partners are extended and managed through AWS Marketplace Seller Private Offers. Enterprise Contract for AWS Marketplace reduces friction in contract negotiations for you and your customers. By participating in this program, you will use a comprehensive End User License Agreement (EULA) that governs usage of the software, and sets terms with respect to the obligations and responsibilities of each party. Customers enrolled in the program have the option to subscribe to and deploy software from AWS Marketplace immediately under the terms of the Enterprise Contract, rather than spending months negotiating software terms with individual sellers. A common identifier is now available in your reports and can be downloaded via the seller dashboard, or by using the Commerce Analytics Service (CAS) API. All relevant data sets for your AWS Marketplace reports include a new Payer Reference ID, which helps you join your reports at a payer level and make sense of your business from end to end. This identifier is found in the Daily Business Report, Daily Customer Subscriber Report, Monthly Billed Revenue Report, Monthly Disbursement Report, Sales Compensation Report, and U.S. Sales and Use Tax Report. AWS Marketplace has a new pricing option that allows you to add a consumption price on your software-as-a-service (SaaS) Contract products. Consumption pricing helps you accelerate contract negotiation by offering customers pay-as-you-go pricing for additional usage beyond their original contract. With this new feature, customers can combine the discounts from committed usage and the flexibility of on-demand usage. Flexible Payment Scheduler enables you to offer custom payment schedules to your customers to better align with their budget cycles. After negotiating the price and quantity with a customer, you can specify a custom schedule of payments, with up to 36 installments over three years. Flexible Payment Scheduler increases your sales velocity, sales volume, and transaction size by making it easier for customers to purchase software. This feature is available for any SaaS product with contract length of one month or longer using Seller Private Offers. New sellers can register for AWS Marketplace faster than ever before. Now, interested sellers can use their existing AWS account or create a new AWS account and choose the Sign Up as an AWS Marketplace Seller button on the AWS Marketplace Management Portal to complete their registration. AWS Marketplace now enables both you and your customers to reply to product reviews. You can both engage with this feature by clicking on the Leave a Comment and View Comments links that are embedded on all Amazon Machine Image (AMI) and SaaS product reviews. To ensure the authenticity and quality of the each comment, AWS Marketplace moderates all comments before they are published to our website. AWS Marketplace Private Image Build is a new feature in public beta that allows customers to build and deploy custom AMIs by combining their “gold images” with installable software that you provide. It uses the new Image Build Service available through the AWS Marketplace Management Portal, which you can also use to easily build and update AWS Marketplace AMIs. Private Image Build helps customers meet their security management and compliance policies, especially in heavily-regulated industries such as financial services, insurance, healthcare, education, and government. We release new features regularly for AWS Marketplace, and our team is already hard at work on the features we’ve heard you want to see in 2019. Stay tuned for more announcements on the APN Blog and AWS Marketplace Blog! 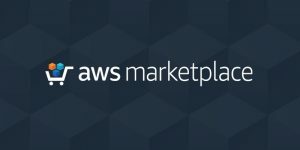 AWS Marketplace complements the AWS Partner Network (APN) and is another example of our commitment to growing a strong ecosystem of software and solution partners. Customers use AWS Marketplace’s 1-click deployment to quickly launch pre-configured software and pay only for what they use, by the hour or month. AWS handles billing and payments, and software charges appear on customers’ AWS bill.